The Wizards went 3-1 this week beating the Pelicans, 76ers, and Cavaliers but dropped a game in Chicago against a short-handed Bulls team. The Bulls were without Derrick Rose and Jimmy Butler but still managed to control the game. On the flip side, the Wizards dismantled the Cavaliers 113-99 on Sunday afternoon but the Cavs were playing without some guy named LeBron James. The Wizards did not look particularly great this week but a 3-1 record isn’t to shabby. Sessions has proven to be one of the most reliable back up point guards in the NBA. He gets to the line the most out of any player coming off the bench and the pace does not slow down when he gives John Wall a breather. Sessions averaged 12 points per game this week on 51 percent (18-35) shooting. Sessions won’t get you 10 assists per game like Wall but can get to the line. The only thing is, he’s got to improve his free throw shooting. It’s great that he’s getting to the line. It just doesn’t matter if you don’t knock them down. The honeymoon with Temple is over but the Wizards keep force-feeding the situation. Temple has become a non-factor on offense. Early in the season, he was knocking down three pointers and was getting easy buckets in transition. Now? He’s doing neither. Temple averaged just 6.8 points per game this week. He scored just two points against the Cavs and put up a donut against the 76ers. The only reason Temple continues to start is because of Beal’s minutes restriction. To Temple’s defense, he still plays hard defensively. It’s just on the offensive end where his game has taken a huge dip. 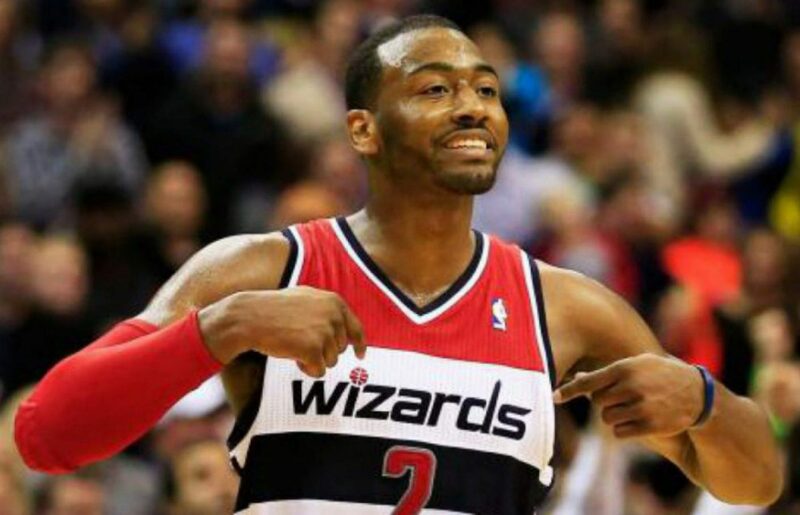 Next postWizards hold off 76ers, win 116-108.